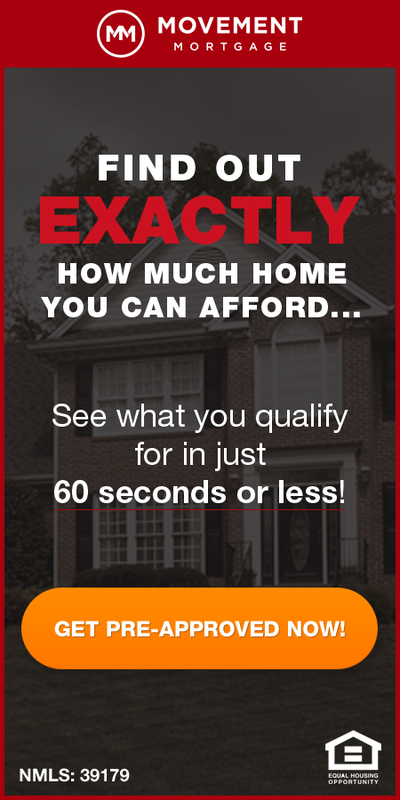 For the first time in a long time, there was an increase in St Louis Foreclosures with 497 foreclosure actions in August, equivalent to 1 foreclosure action for every 2,511 housing units, an increase of 2.47 percent from the month before. 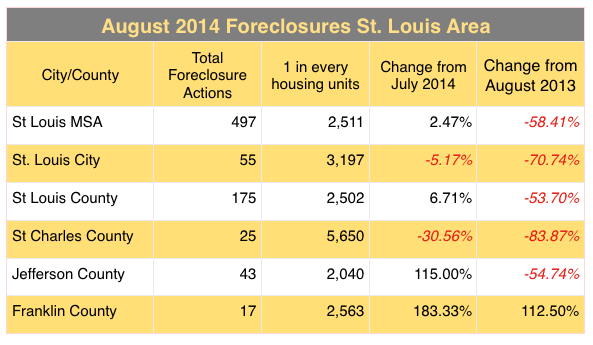 While up from the month before, St Louis Foreclosures in August 2014 were down 58.41% from August 2013. As the table below shows, St Charles County had a big decline in foreclosure activity in August and the city of St Louis a modest decline, but Jefferson County and Franklin County both saw increases in foreclosures over over 100% from the month before. With the exception of Franklin County, all the counties listed had a double digit decline in foreclosure activity from the year before.